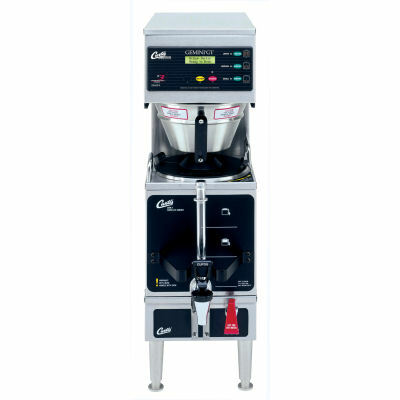 With Generation Three (G3) technology and the Gemini history, Curtis introduces a highly advanced gourmet coffee brewing system. The unique Universal Control Module is easy to read and the simple interface makes operating easy. The Satellite Servers maintain coffee temperature for extended periods, and on-board self diagnostics continually sense proper brewing operations, and a Service Phone Number and error code are displayed in the event technical assistance is required. 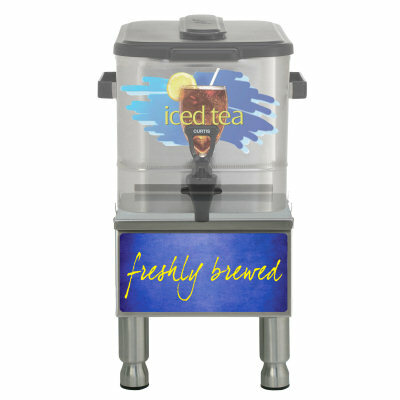 All brewing functions are displayed in real time, not a coded system of indicators. Curtis Gemini systems are factory set for out-of-the box operation with pre-programmed recipes that ensures a consistent brew every time. And, with scroll-through menus it?s just as easy to fine-tune the brewing process for your exacting gourmet coffee profile. Pre-Set Global Recipes at the touch of a single button – no complex equipment required. Standard recipes include: Gourmet Standard, Dark Roast, Light Roast, High Yield, Filter Pack and Decaf. Double-wall construction in each satellite server helps maintain coffee temperature with minimal heat. 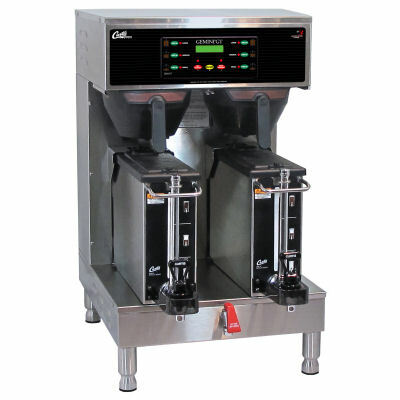 The G3 digital control module can be field configured for 1, 2 or 3 batch brewing. Warmers can be set on high, medium or low to preserve peak flavor.